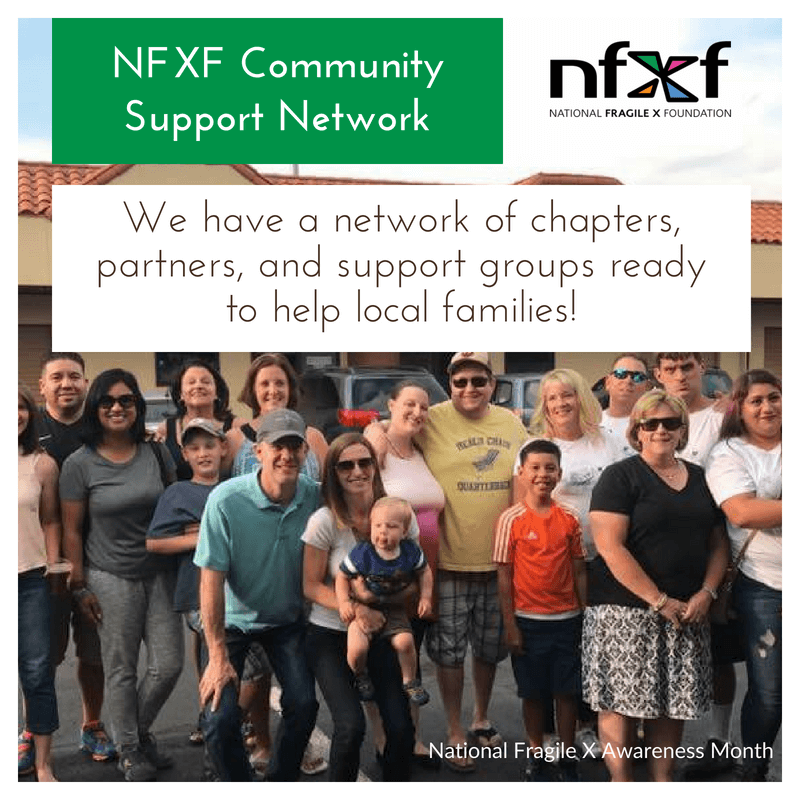 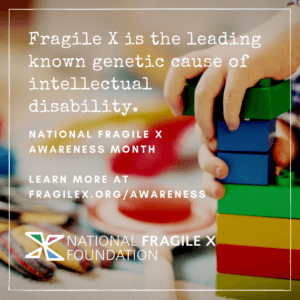 This is going to be your one-stop-shop for awareness items such as shareable facts, awareness cards, posters, and the new Fragile X 101 book. 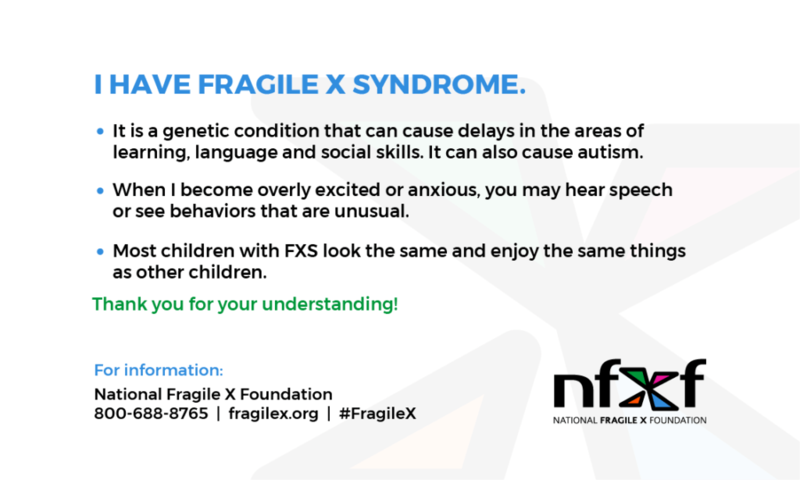 Have you ever been in a situation where you needed a quick way to explain Fragile X to a stranger or acquaintance? Maybe there is an incident at the grocery store and some people begin staring. 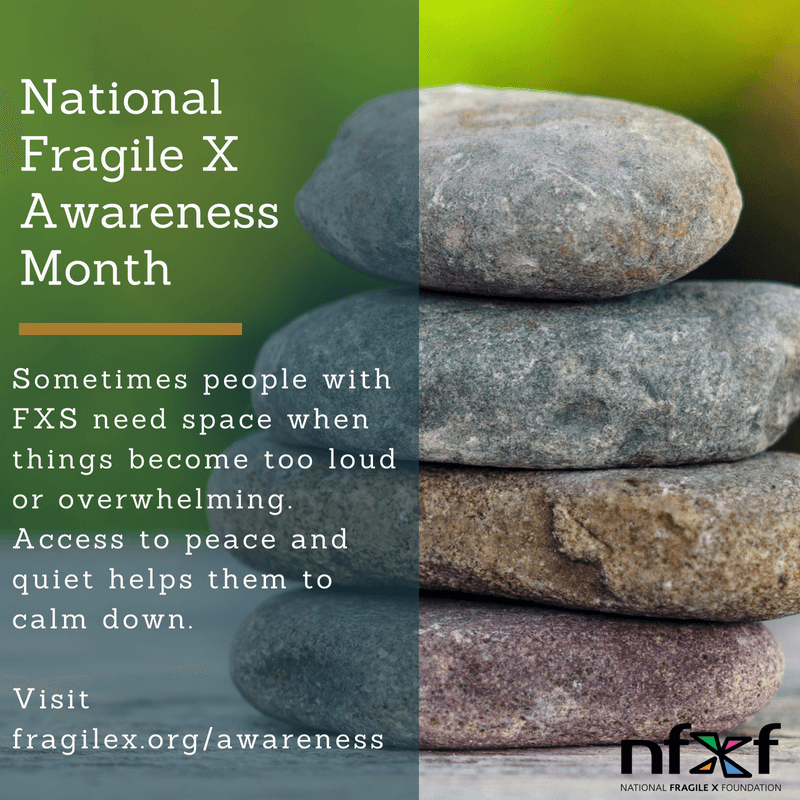 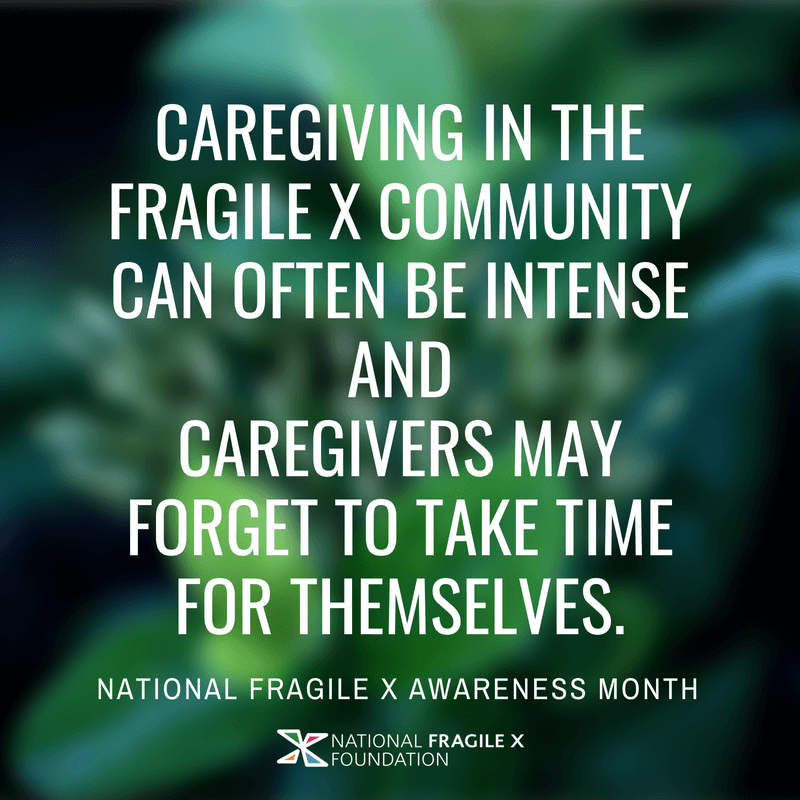 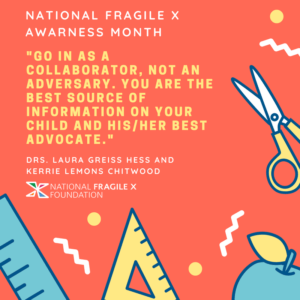 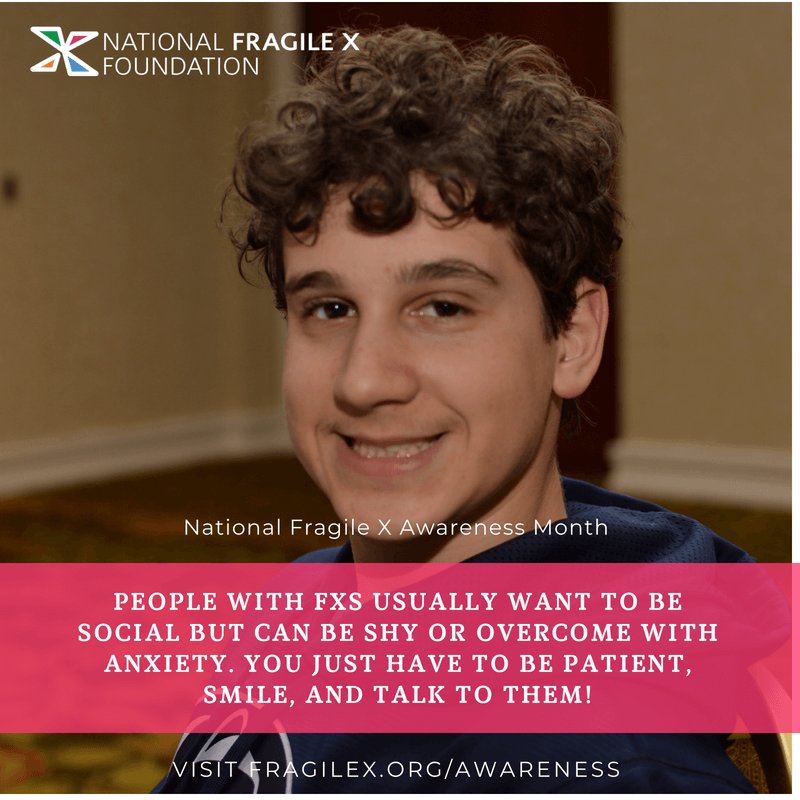 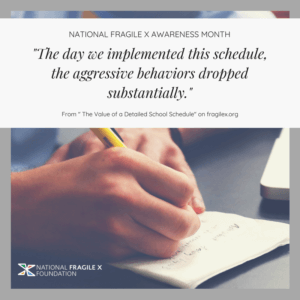 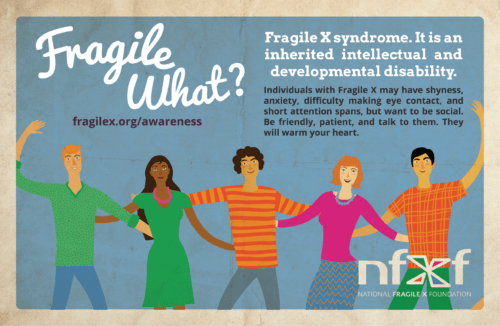 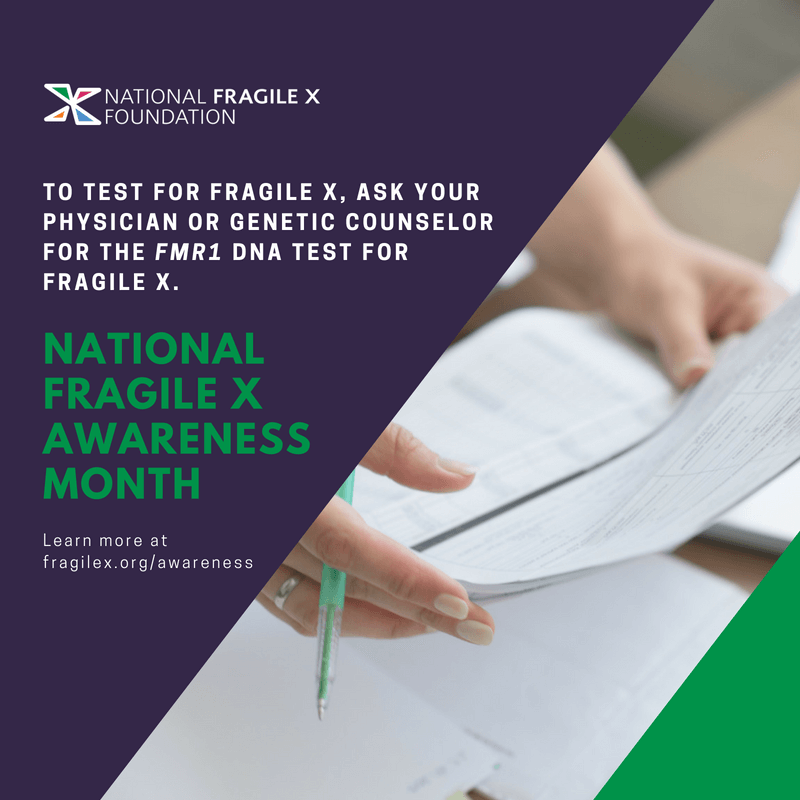 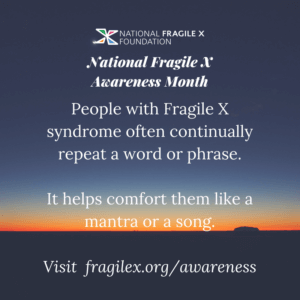 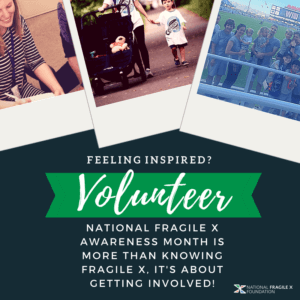 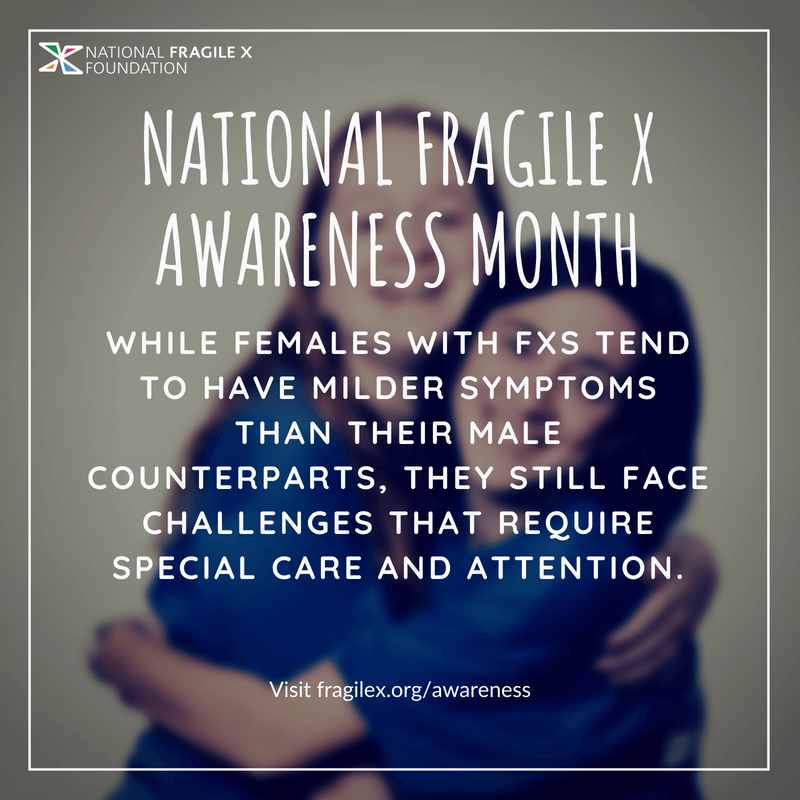 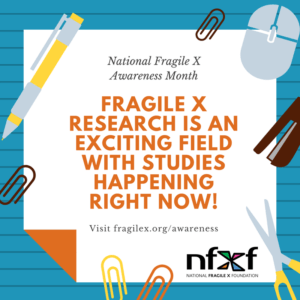 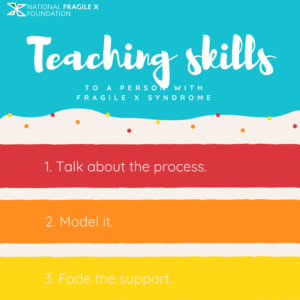 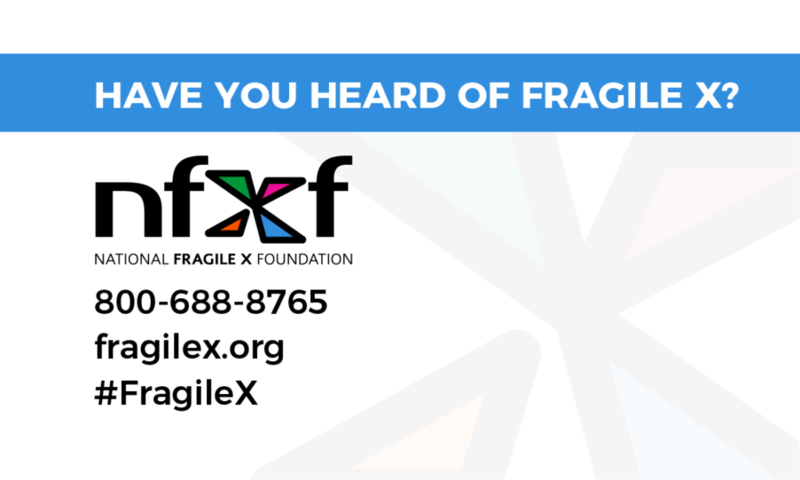 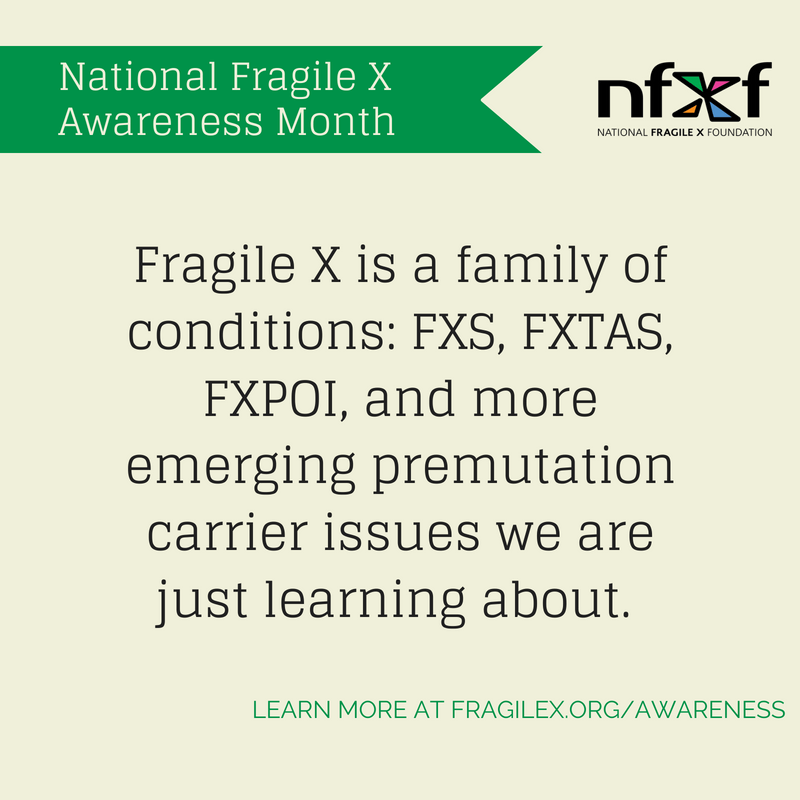 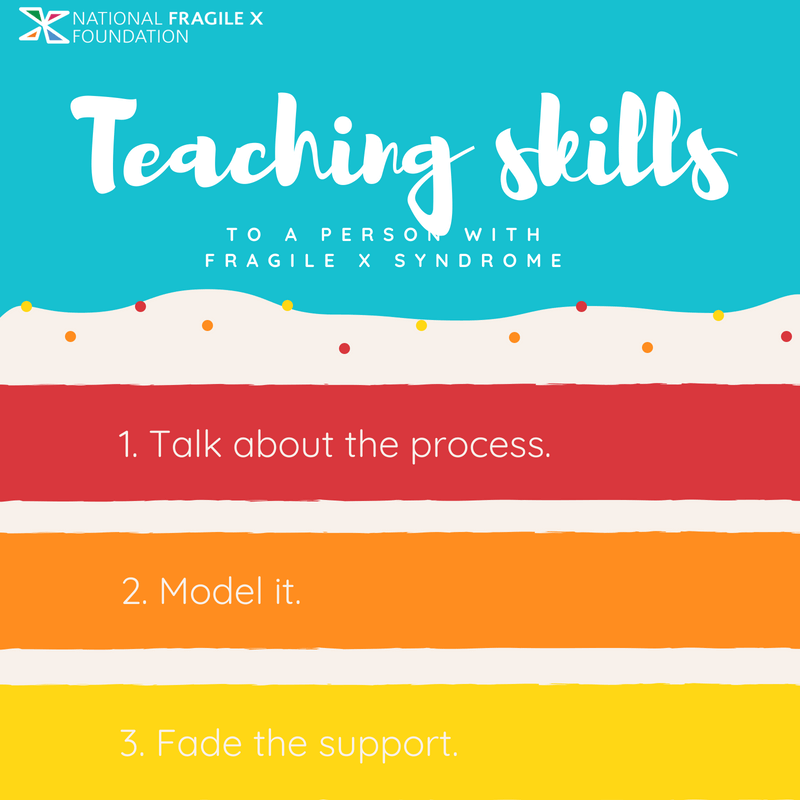 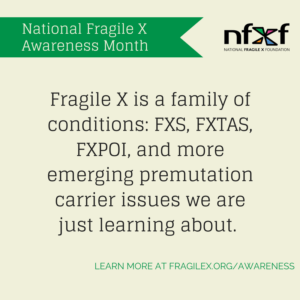 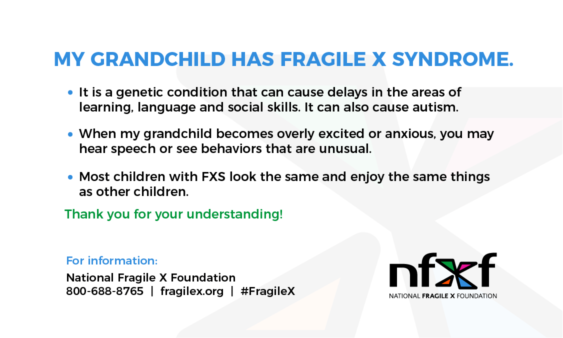 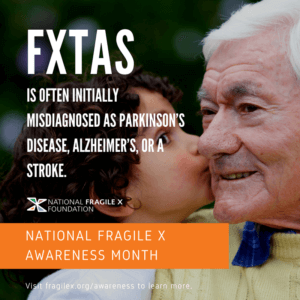 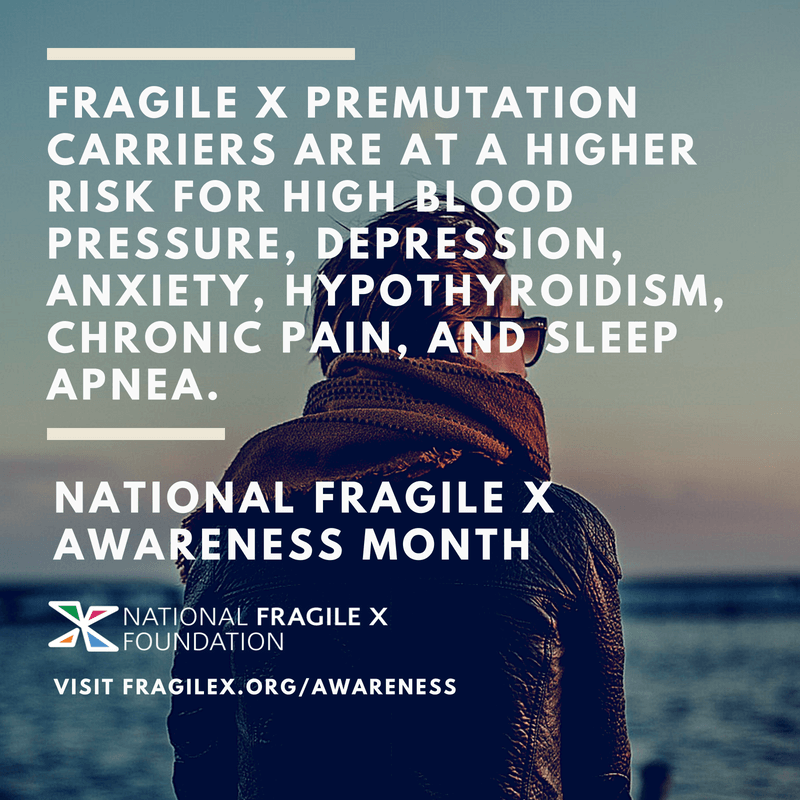 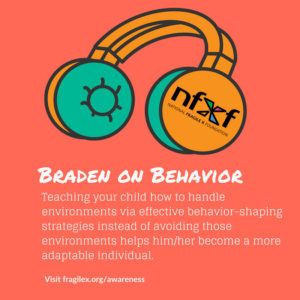 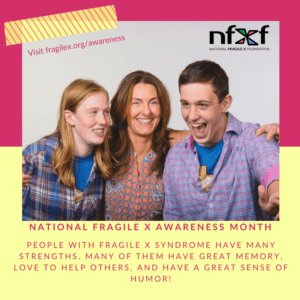 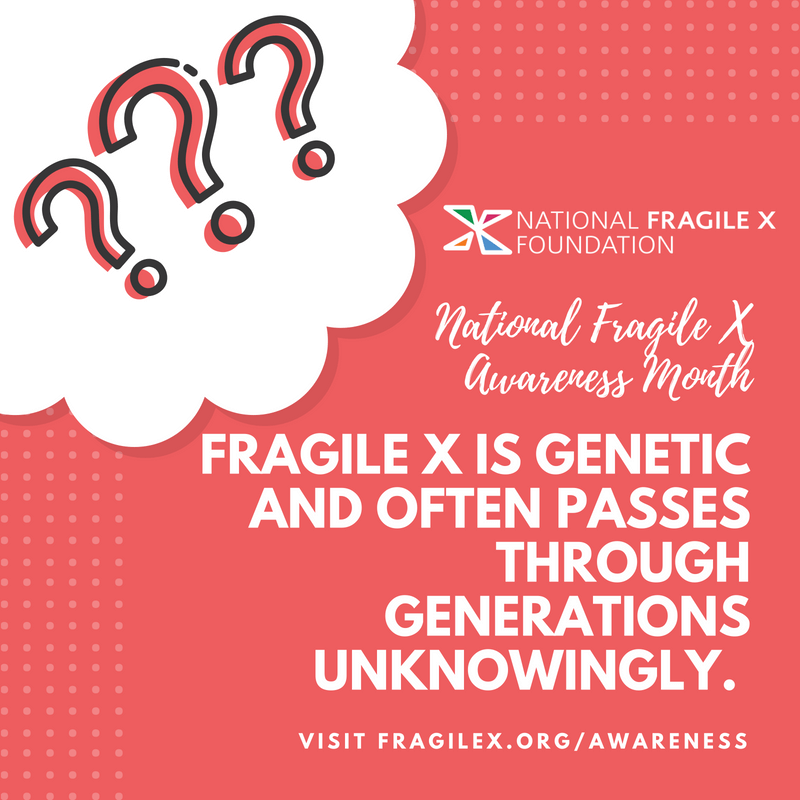 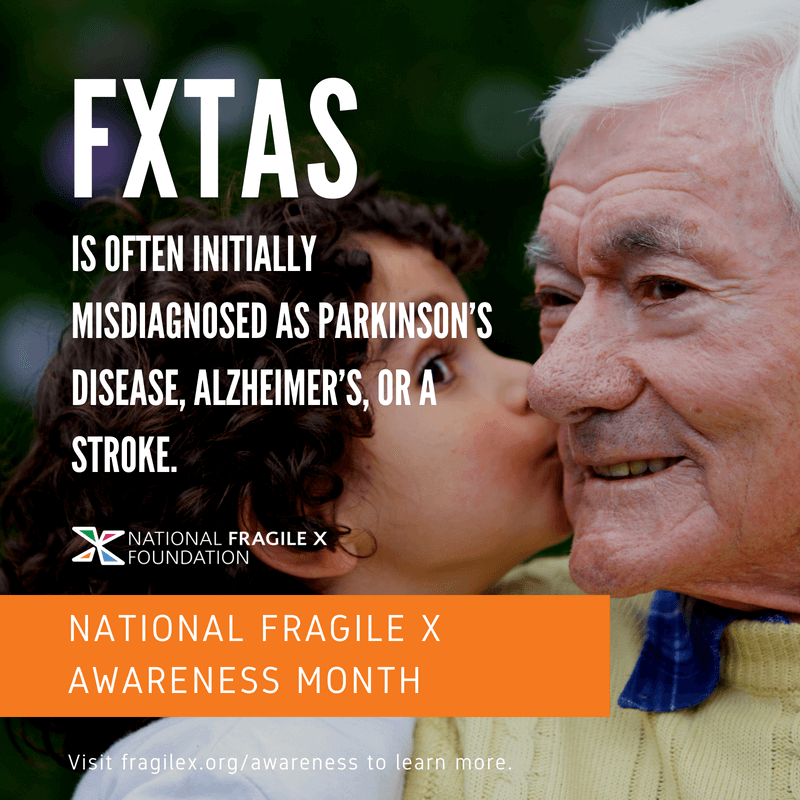 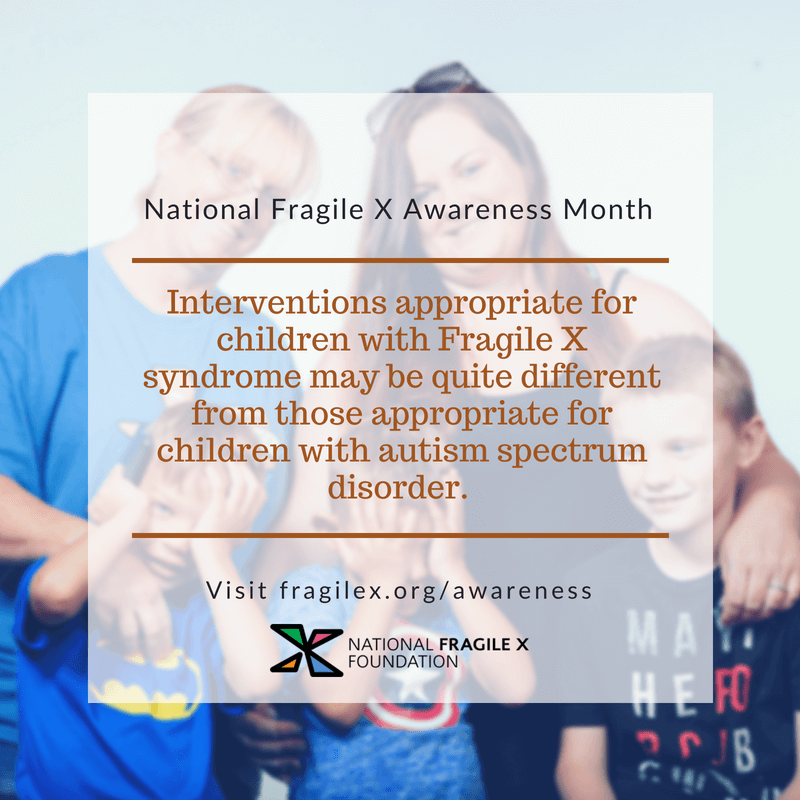 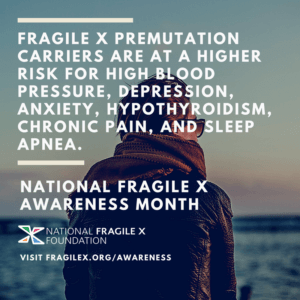 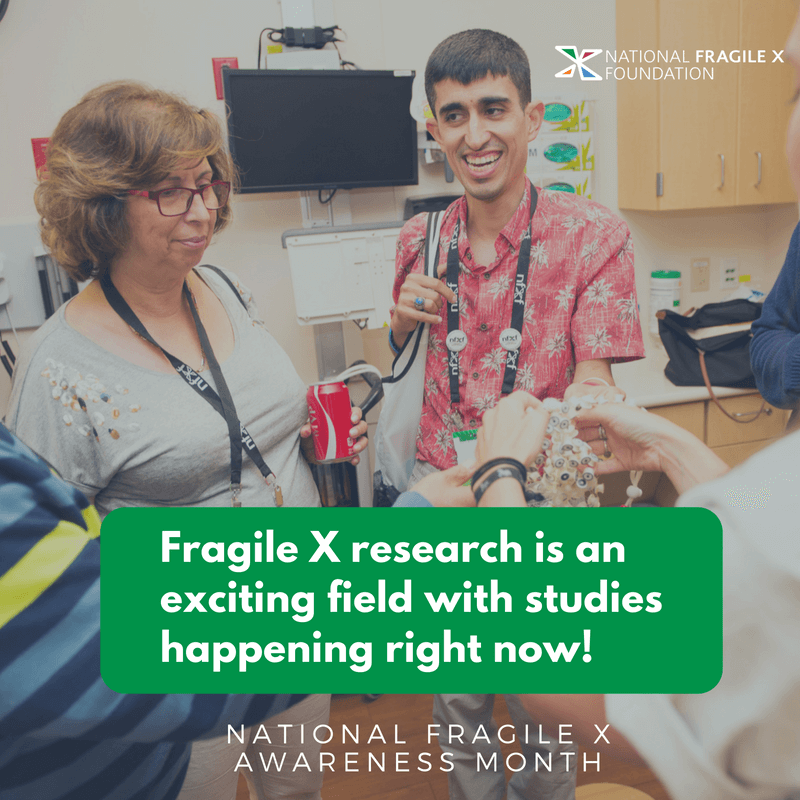 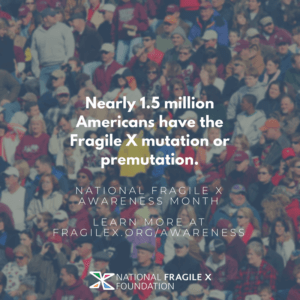 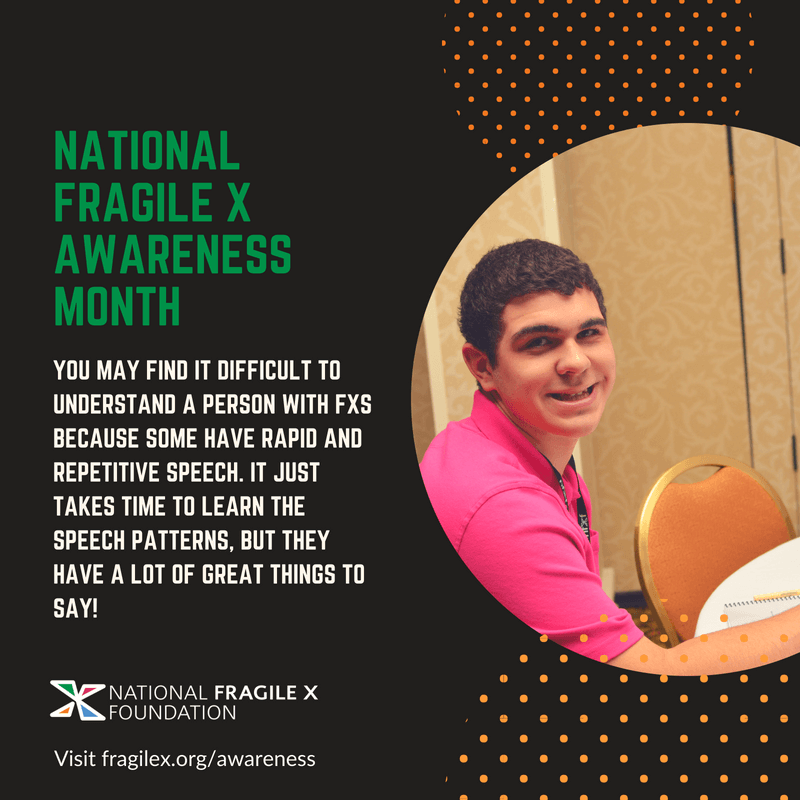 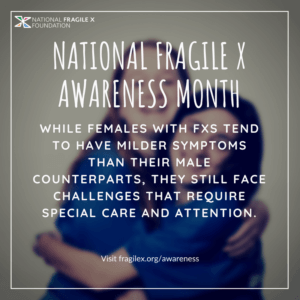 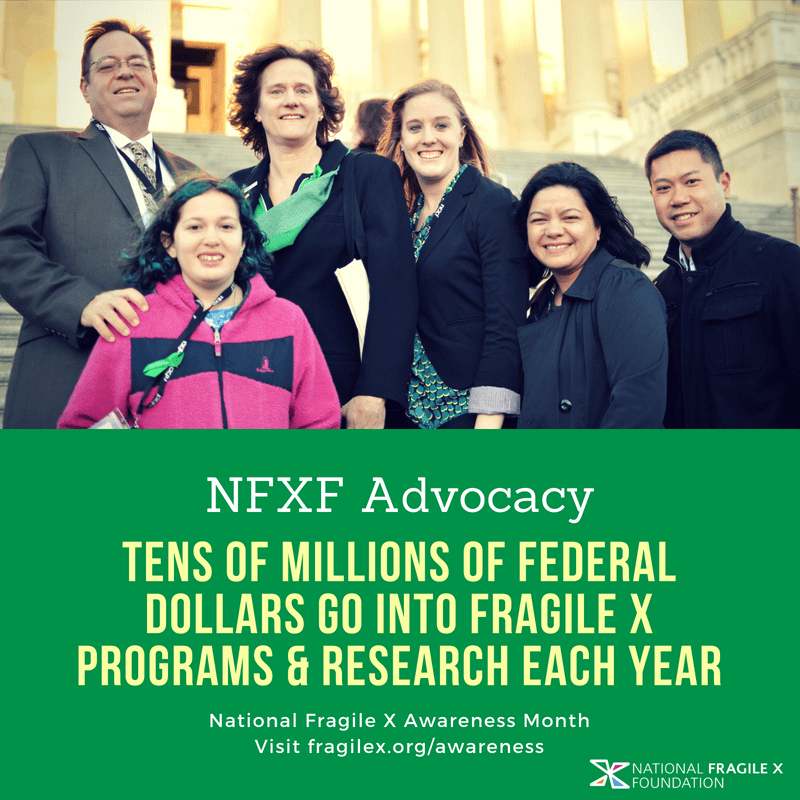 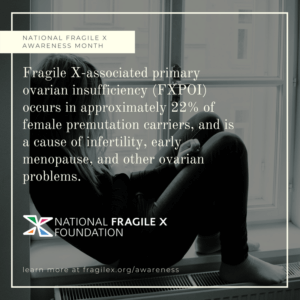 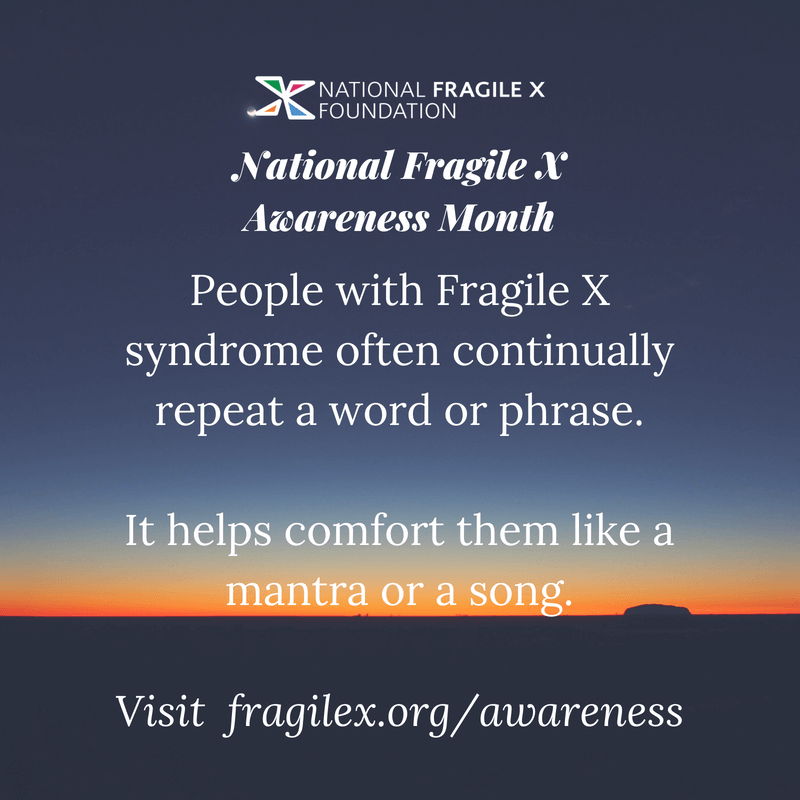 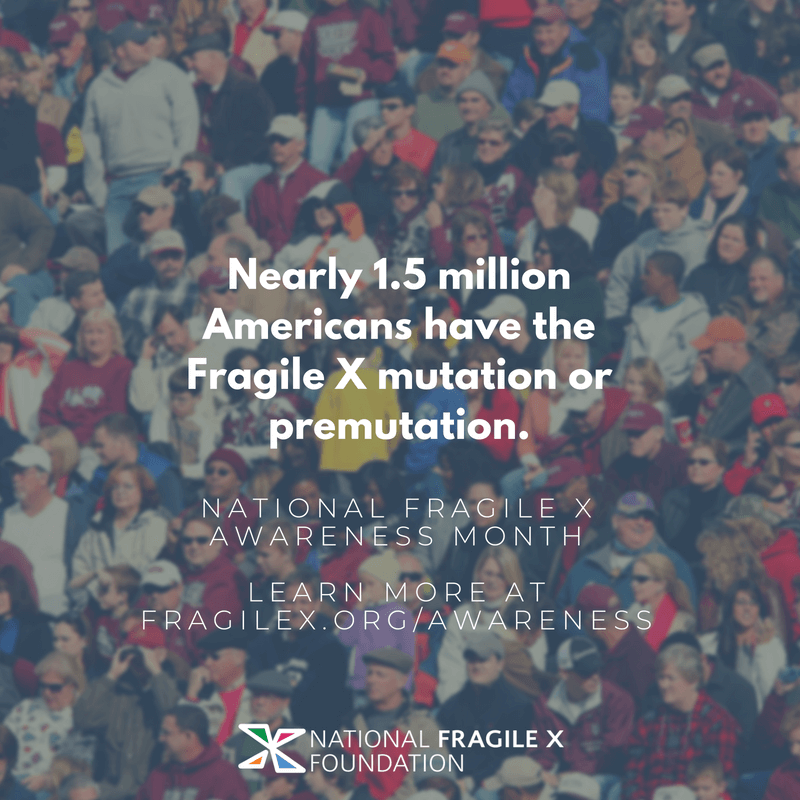 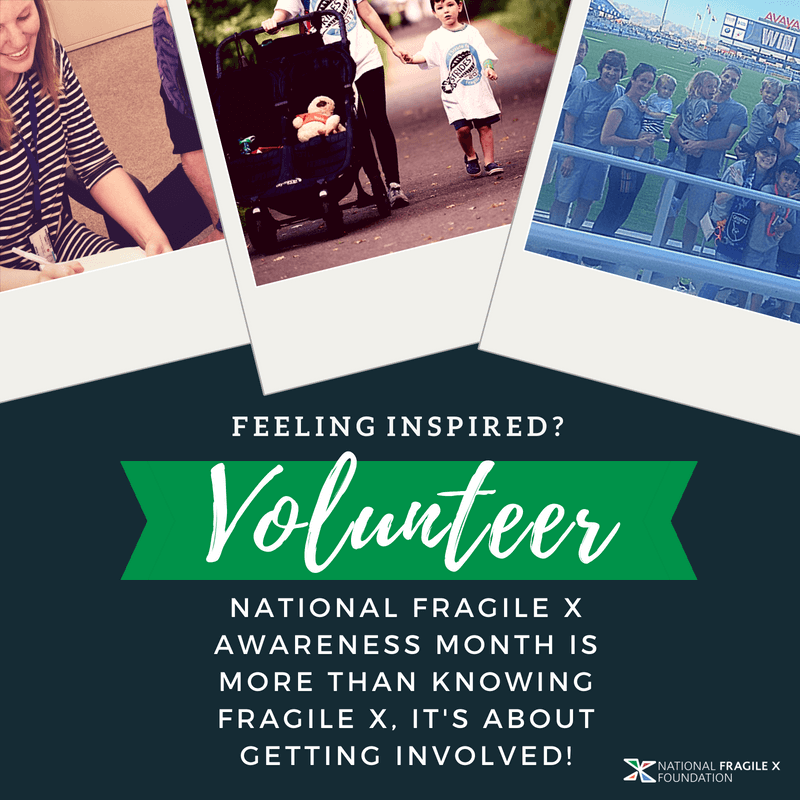 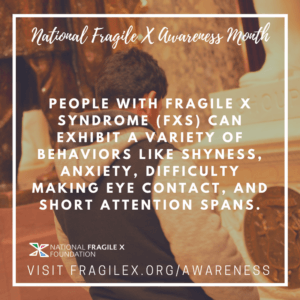 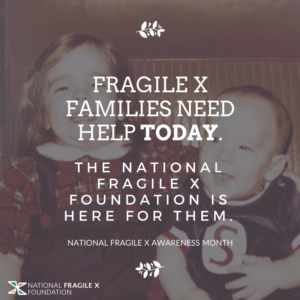 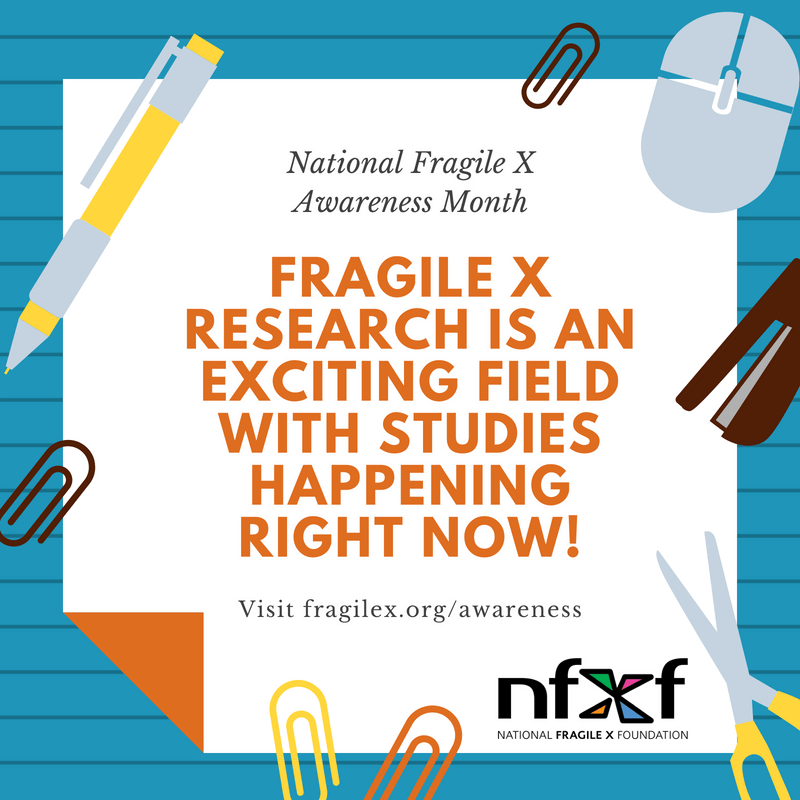 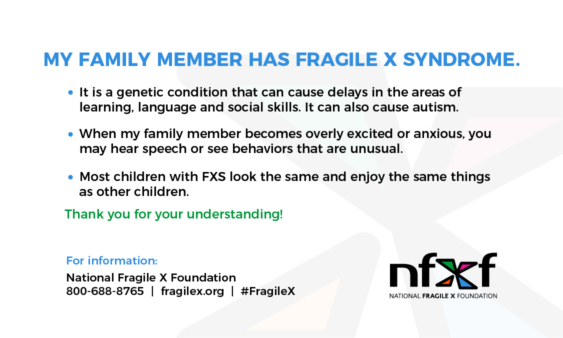 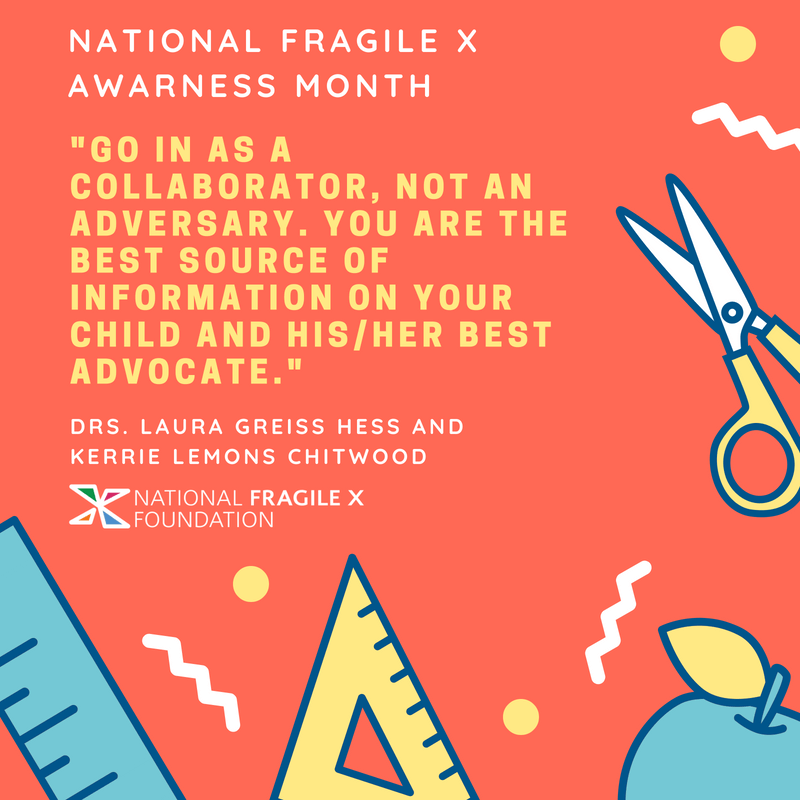 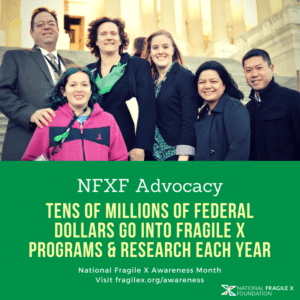 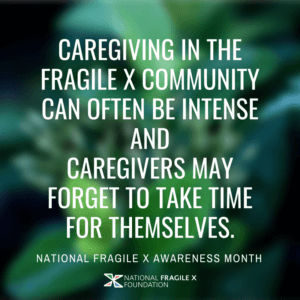 Explaining Fragile X can be a difficult topic to broach, so we’re here with a quick way to introduce it: Our printable Fragile X awareness cards! It is a genetic condition that can cause delays in the areas of learning, language and social skills. 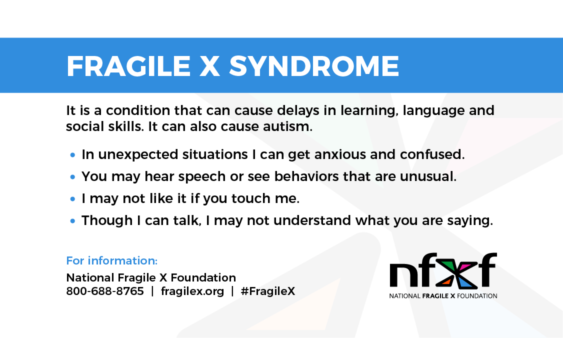 It can also cause autism. 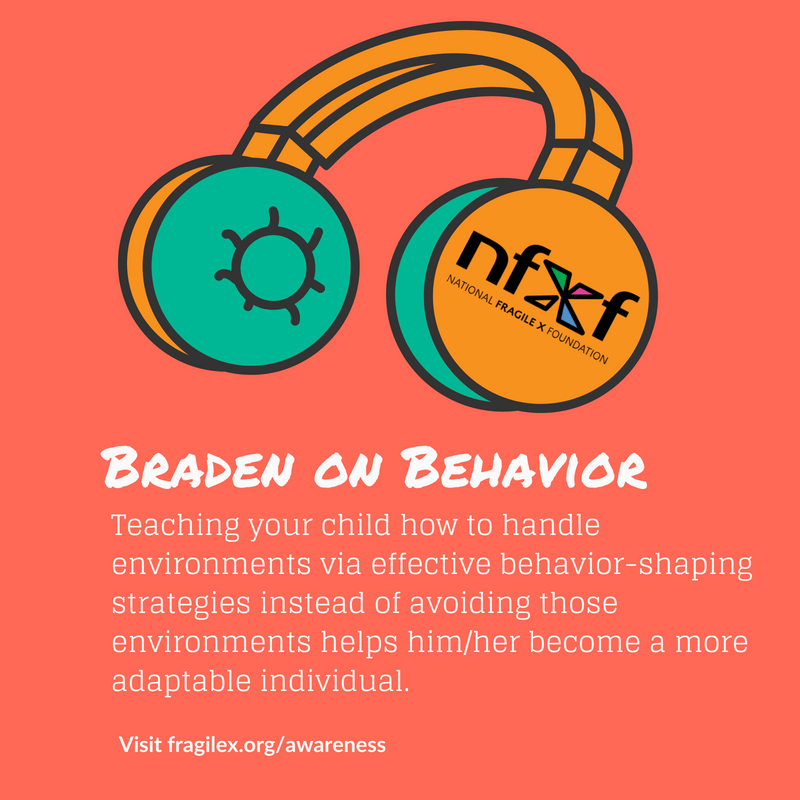 When my family member becomes overly excited or anxious you may hear speech or see behaviors that are unusual. Most children with FXS look the same and enjoy the same things as other children. 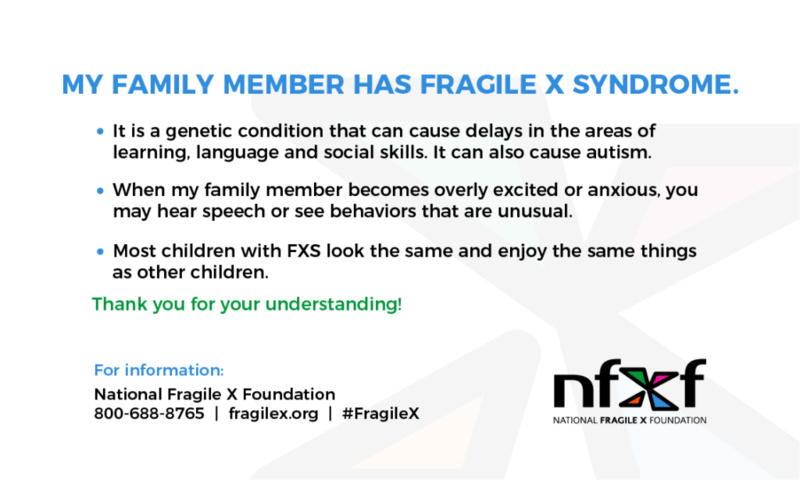 We have multiple versions for different family members, with the same descriptive language. 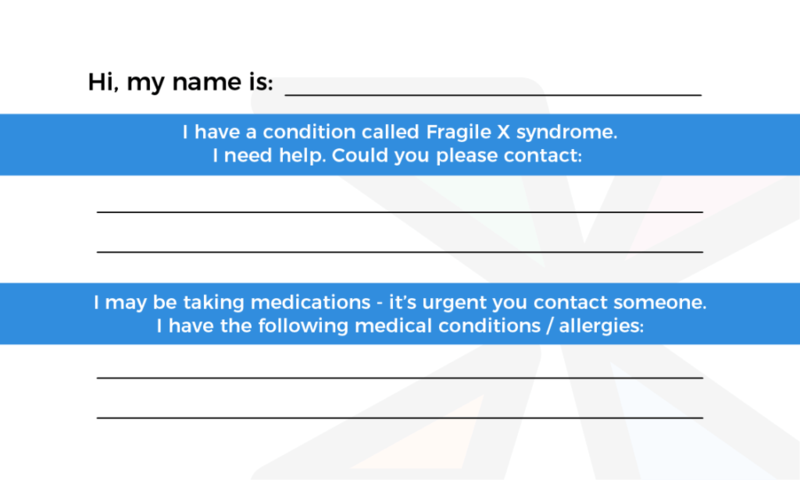 In addition, we have an “Emergency card” template which you or your child can carry around should they find themselves in trouble. 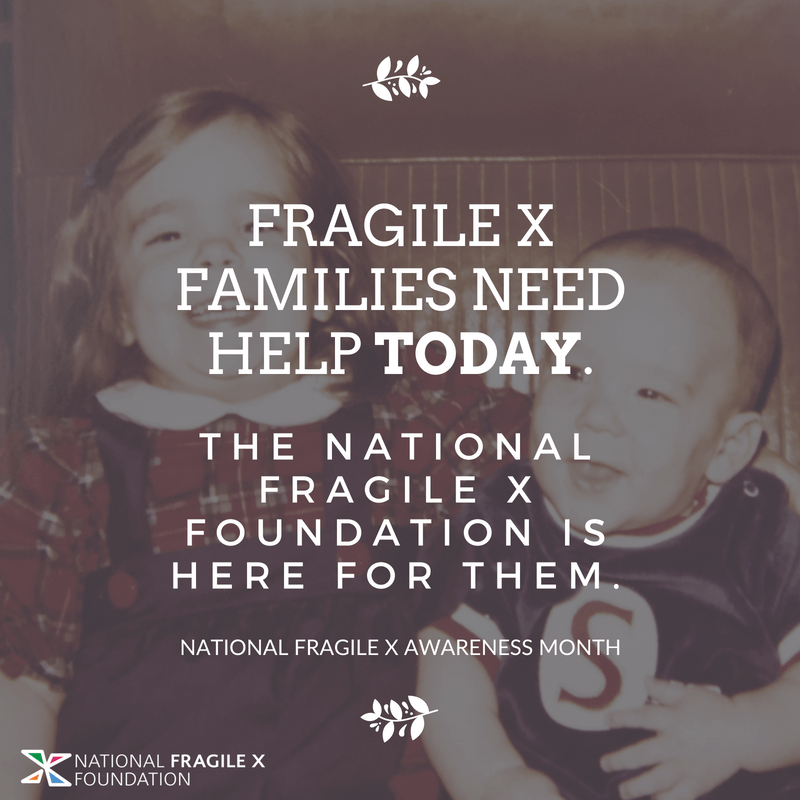 In addition to explaining Fragile X syndrome, it also has space for you to fill out emergency contact info and medication/allergy concerns. 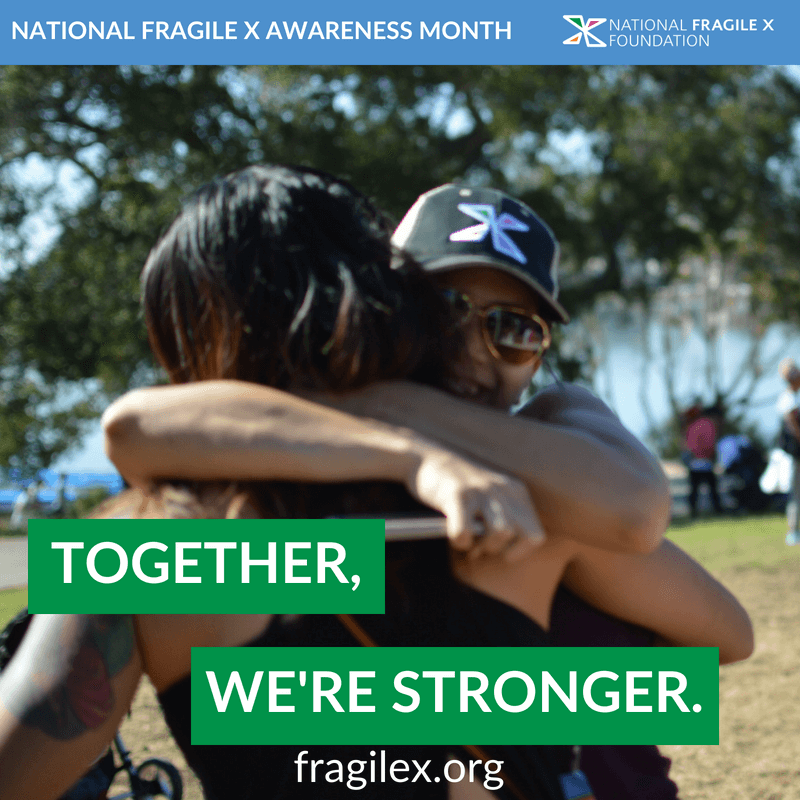 By providing you with our images, we’re giving you the opportunity to print these on demand! 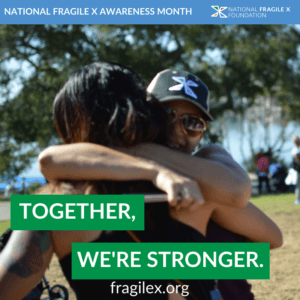 We recommend going to your local print store or using websites like Avery.com. 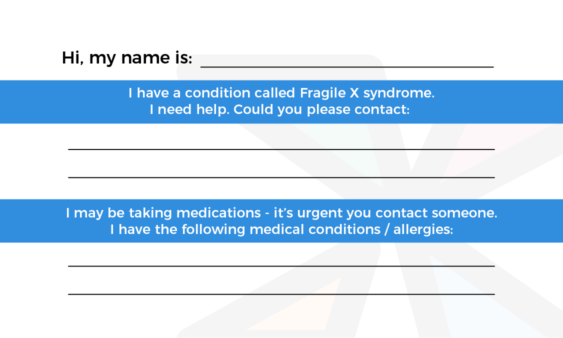 All you have to do is upload the images and they will add it to the template of your choice (we recommend template 8871 but others might fit too).